New Zealand has so many tourist attractions in its beautiful islands. It offers a wide variety of sporting events that include skydiving, mountain biking, water rafting, jet boating, luging and heli-skiing. 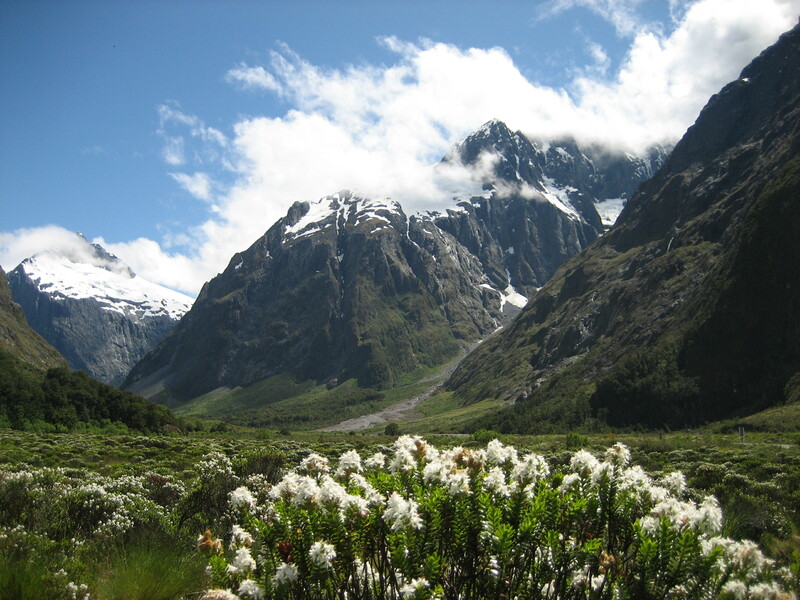 Tourism destinations include Fiordland National Park and Milford Sound, Bay of Islands, Queenstown, Lake Taupo and Tongariro National Park, Fox and Franz Josef Glaciers and Rotorua. Explore Kenya’s top tourist attractions. Kenya is one of the world’s greatest tourist destinations ranging from the beautiful landscape, distinct wildlife and rich cultural heritage. Many tourists who visit Kenya look forward to witnessing the Great Migration in the Maasai Mara, the flamingoes at Lake Nakuru, the huge elephants at Amboseli National Park, and the wildlife at Tsavo National Park and Samburu Buffalo Springs & Shamba National Reserves. The Lamu Island hosts the Lamu Old Town, a UNESCO World Heritage Site. The Great Rift Valley has several archaeological sites and attractive sceneries like the Hell’s Gate National Park. Go to Costa Rica and do a tour. Costa Rica is known for beautiful rich sceneries and various wonders of nature; there is no wonder that travelling to Costa Rica for your holiday is a popular choice. The Tortuguero National Park is the first destination you should consider. Transport within the park is through a boat that will ensure you observe the wild monkeys, crocodiles, birds and sloth as you sail away. Apart from having a view of the volcanoes across the country, one can go paddle boarding on Lake Arenal Volcano. The rainforest offers zip line rides and canopy tours to the interior of the forest. Dubai is known as one of the world’s top tourist destinations because of its beautiful beaches, spectacular sceneries, wonderful parks and exclusive wildlife. The best beaches to visit are Jumeirah Beach Park, Umm Suqeim Beach and the Al Mamzar Beach Park. For the best wildlife experience, you can visit Dubai Desert Conservation Reserve, the Ras Al Khor Wildlife Sanctuary and the Wonderland. The beautiful sightseeing places include Downtown Dubai, Burji Al Arab and Palm Island. Kerala is a coastal strip full of beautiful sceneries; its number of stunning beaches make Kerala an idyllic travel destination. It has beautiful and attractive beaches and mountain ranges. When exploring this side of India, don’t forget to drop by the Wayanad Wildlife Sanctuary, Periyar Tiger Reserve, the Museum of History and Heritage, Napier Museum, Matha Amrithanandamayi Mission, Pardesi Synagogue and Mattancherry Palace. Also, your Kerala visit won’t be complete without experiencing the lazy backwaters, jungles full of wildlife and interesting cultural heritage. Camping on the woods is also preferred by many tourists. The world is full exciting places waiting to be explored. Traveling is your best gift to yourself; it is the perfect way to take a break and unwind. The post Travel to Different Corners of the World appeared first on Geeky Traveller. Go on a canal boat around Great Britain. Great Britain is known for giving tourists the best experience when journeying across the waterways. The United Kingdom has more than 2000 miles of navigable inland waterways, making exploring Britain by canal boat the perfect adventure. This waterway goes across magnificent towns and villages, connecting to Manchester City as it passes next to the Old Trafford Stadium. 2. Kennet and Avon Canal. The Kennet and Avon waterway connects several villages, towns, and plains to the historic Georgian City of Bath. It’s famous as it passes through first-class pubs as you tap several upcountry estates. 4. Forth and Clyde and Union Canals. It connects Glasgow on the west to Edinburgh on the east. It passes through the Falkirk Wheel. This waterway goes through the Surrey, Guildford, and Farnham, connecting to the Thames. Go skiing in the Alps. The best time to go skiing in the Alps is during the winter. This is a good time for you to go skiing with your family. Skiing in the Alps is perfect for families, workmates, friends or couples who want to have their festive season away from home. Machu Picchu is an archaeological ruin of an ancient city in Peru. Trekking through the Machu Picchu is a marvel. Going to the Machu Picchu requires one to climb the mountain ranges. There are several routes that you can follow, that includes the Inca Trail, the Salkantay Trek and the Lares Trek. Thailand offers a good number of tourist attraction sites. Bangkok itself houses the Royal Grand Palace, Chinatown and the Jim Thomson’s House Museum. It provides countryside paddleboat rides through the floating Tha Kha Market. Go to Rome and do a Vatican tour. The Vatican is visited by lots of Christian believers. The Vatican tour involves paying a visit to the Vatican Museum and the St. Peter’s Basilica. There are public trains and buses ferrying regularly. Most visitors prefer to walk as it’s the best way of sightseeing the beautiful Vatican City. The papal holds public audience every Wednesday. If you want less crowd, winter is the best time to visit as there are fewer visitors then. The kind of experience you should go for definitely depends on your taste and preferences. Wherever you go and whatever you do, as long as you enjoy the moment, then you are sure to make memories to last a lifetime. The post 5 Experiences to Suit Every Taste appeared first on Geeky Traveller. California is the mecca of vacation attractions and excitement. It’s known for its beautiful scenery and infamous weather year-round. If you’re planning a family trip, you have your pick from Universal Studios Hollywood, Discovery Kingdom, Magic Mountain, Boomerang Bay, and Disneyland. Southern California is the place to create memories that will last a lifetime. Whether you’re planning a trip to LA to build sandcastles, trek through rugged mountains, or lounge by the pool with a cocktail, Southern California has something for everyone. San Diego is a laid-back city with bistros, breweries, and sought-after beaches. 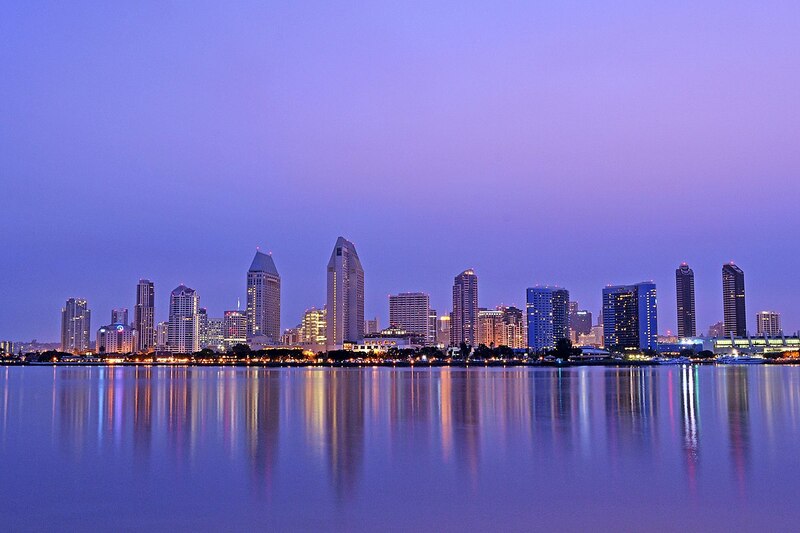 Known as the embodiment of So-Cal, San Diego makes visitors wish they booked a one-way flight. Visit Balboa Park or Little Italy’s famous Italian fare. If history is your thing, explore Old Town while sipping on margaritas. There are several cantinas and tiki bars to choose from serving fresh fish tacos for lunch after a long day at the beach. The San Diego Zoo recently underwent a massive expansion which includes a $68 million Africa Rocks exhibit with six new habitats including a Madagascar landscape, West African forest, and Ethiopian highlands. Carlsbad, California is also known as “The Village by the Sea.” If you’re wondering what to do in Carlsbad, your options are endless. This city has stunning sandy beaches with three lagoons, world-class sporting events, and fantastic shopping. It’s home to the LEGOLAND theme park featuring thrilling rides shows, and attractions the kids will love. Visit the famous La Costa golf course which has welcomed legendary players and tournaments. Omni La Costa Resort and Spa is home to Bob’s Steak and Chop House serving only fresh farm ingredients and seasonally-inspired menus. The Five-Diamond rated Vivace restaurant creates fine Italian cuisine in the Park Hyatt Aviara Hotel. Set against the San Jacinto Mountains, Palm Springs is a desert locale with some of the most iconic 20th-century fashion, art, and architecture. Palm Springs was once a refuge for Lucille Ball, Frank Sinatra, Cary Grant, and Bob Hope to name a few. Today, tourists can choose from over 250 events, film screenings, parties, lectures, and bike and bus tours. Palm Springs has an excellent culinary scene with a variety of diverse options from five-star Chefs. Here you’ll find classic American steakhouses, upscale modern cuisine at Workshop Kitchen + Bar, or fine Greek dishes at Koutouki. The city of Angels makes star-gazing as real as it gets at the Art Deco Griffith Observatory located on Mount Hollywood. Los Angeles is home to the best beaches in the United States each with its own unique character. Venice beach is the most popular with numerous art galleries, street performers, and quirky shops. The kids will love the new addition of The Wizarding World of Harry Potter complete with Hogwarts Castle and themed rides. Santa Monica has the quintessential California vibe. It’s a beach and an amusement park in one, sitting atop two piers. There is no better spot for surf, sand, and people watching than Santa Monica. It’s the hotspot for rollerbladers, cyclists, surfers, and sunbathers. Take a ride on the iconic Pacific Wheel or watch the Ferris wheel light show after sunset. There you have it – the best cities to visit in Southern California. With so much to do and so many to choose from, the hardest part will be picking which one to visit and which things to get done. The post Best Cities to Visit in Southern California appeared first on Geeky Traveller. Not many are aware of the fact that The Old Town of Corfu is listed as a UNESCO World Heritage Site. It’s significance goes way back to the 8th century BC and the Byzantine period. The architecture is influenced by many cultures including the French, British and Venetians, which has resulted in the magnificence of this neoclassical town today. The town is known for two of the most popular fortresses here, The Old Fortress and The New Fortress. When you are tired from all the sightseeing, head to the small cafe to relax and take in the surrounding sights. If you want to explore what is quintessentially Corfu and has always been, you should take out time to explore the old Venetian Villages which have over the years inspired poets and artists to create mesmerising art. These villages are scattered around this paradisiacal island and are over 100 in total varying from each other in entirety. If you saw a postcard-perfect picture of Corfu’s beaches, you will cancel all preliminary plans and ideas in your head and book tickets to this fairyland! Most of all, Nissaki beach boasts of a shore that has both soft sand and splendid rock formations, that are washed by the most beautiful emerald-turquoise waters. On the contrary, Mirtiotissa is a sandy beach which is neighbored by lush green cliffs! If you are a history lover, you would fall in love with the island of Corfu at first sights! It houses some of the most interesting museums in Greece such as The Museum of Asian Art which has an interesting display of some of the most valuable artefacts in the world today and more than 10,000 such pieces. They have been collected from China, Japan, India, Tibet, Nepal, Korea and Thailand. There is also the Archaeological Museum which is an intriguing visit and adds to the many reasons for visiting Corfu! One of the most important factors that determine one’s interest to head to any destination is the local cuisine and Corfu wins our hearts with its food, and how! The food, much like the architecture draws inspiration from the vibrant culture and is an eclectic mix of Greek and Venetian flavours. Some of the most popular dishes here include Sofrito (sliced veal cooked with vinegar, garlic and parsley); Bourdeto (peppery fish stew); Bianco, (garlicky fish stew) and more! Overthinking is never a good thing, and especially when it comes to narrowing down on your travel destinations! Without further ado, book your tickets to Corfu and prepare yourself for what will prove to be a memorable vacation! 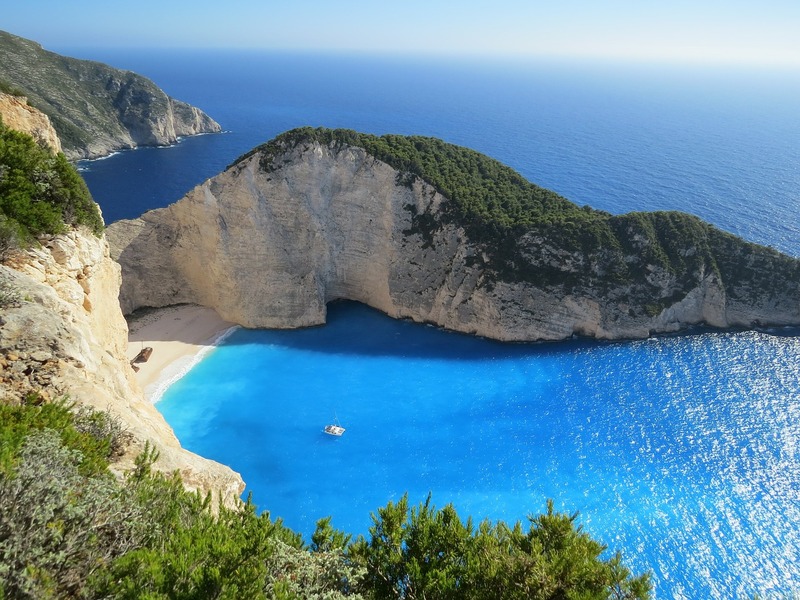 The post 5 Reasons to Plan a Trip to Corfu appeared first on Geeky Traveller. Is sailing on a luxury cruise your idea of a perfect vacation? Afterall, there are few experiences as valuable and wholesome as a cruise vacation. So, sail into the sunset and spoil yourself with a luxury cruise for your next vacation! We have curated a list of the 5 best places to visit on your cruise to lend a hand in your party planning! If one destination had to be awarded for being the most popular (and very beautiful) cruise destination, it would be the Caribbean. There are many cruise ships that work here and offer value deals since you can visit many islands without fretting about purchasing different tickets visas or booking different hotels. Depending on your pocket, you can also opt for some of the more exclusive cruises, which include a day at the private islands such as Half Moon Cay or Castaway Cay! There are few travel experiences that can be as breathtaking as Alaska! If breathtaking scenery, wildlife and spectacular glaciers are things that feature on your travel bucket lists; you should hop on to a cruise to Alaska the next chance you get! The biggest state in the United States, cruises to Alaska have become immensely popular in the last few years. There are varying bases that you can cover such as some stunning fjords. A cruise to Russia is a very tactical decision since it avoids the otherwise very exhausting process of getting a Russian visa. There are many Baltic cruises that stop at St Petersburg for three days and hence, avoid the red tape! Russian streets are gorgeous and there are many attractions to visit in the city along with sumptuous meals! For bikinis and cocktails galore, head to Hawaii on your next cruise! Ditch your corporate meetings and monotonous routines to sail into the sunset and say ‘aloha’ to Hawaii! A cruise around these 8 islands that were formed by volcanic activity is extremely popular. Try to choose a cruise that covers the following islands: Maui, Oahu, Kauai, Molokai, Lanai, Niihau and Kahoolawe.There are many tourist attractions here, ranging from breathtaking waterfalls in Maui and the Haleakala National Park. No list on the best cruise destinations can be complete without mentioning Australia and New Zealand. So much has already been said about the world-famous tourist attractions in Sydney but there is more to these places! Many cruises cover Queensland, Newcastle, Brisbane, Melbourne, Adelaide and even Tasmania. If you love adventure sports, then this destination should be at the top of your list because there is a lot of water sports that can be done on the many beaches here! Trust us, nothing beats the experience of a cruise vacation! Luxury emanates from every aspect, ranging from the food served and the rooms to the decor and ambience of these ships! So, what better than starting with one of the five destinations mentioned above to plan your cruise vacation! The post 5 Places Worth A Visit On A Luxury Cruise appeared first on Geeky Traveller. Malta is a tourist-friendly destination with affordable hotels and brilliant sight-seeing spots. For people who enjoy sunshine, Malta is ideal as it is sunny throughout the year which facilitates its unique and wild nature. Discovering the historical riches of La Valletta and the protected flora and fauna on the island of Gozo is a real treat. The evenings can be spent in the gorgeous town of Mellieha, capped, “European destination of brilliance” by the EC (European Commission) for its allegiance to conservation-friendly tourism. A visit to the Popeye village in Mellieha, constructed for the musical “Popeye” excursion in the 1970s, is a must. Falling in love with Malta is really easy! One of the most breath-taking areas of Portugal with a balmy and sun-drenched climate throughout the year, the Algarve is an area all travelling groups who cherish golden beaches and blue waters must visit. Be it exploring the wonderful Benagil cave or watching dolphins in their glory in the coasts of the Algarve, it is one of the best tourist spots in Europe for several reasons. Enjoy sunbathing on the terrace of your private villa and looking out at the peaceful sea views. Groups can also enjoy jeep safari tours exploring the mysteries of this wonderful region. Treating a friend group to this paradise Greek island of Corfu is a wonderful way to spend a holiday. Enjoying summer sunshine pretty much every day of the year, the island of Corfu, contrary to common perception, is not a desolate and waterless rock – it boasts a unique form of vegetation indigenous to the historic country of Greece. There is a wide range of hotels, villas and guest houses in Corfu. Explore the wonderful beaches and participate in exciting group activities such as private wine tasting. Barcelona is an incomparable spot for group travelling. Or your journey from Barcelona airport, you’ll be greeted by stunning views and interesting landmarks. Visiting the Sagrada Familia and the Port Aventura theme park is a must. The flawless eating and drinking experience the city offers is definitely one of the best in Europe, if not the world. In addition to that, the climate is perfectly warm and there is great football on offer at most times of the year. On the whole, the city presents a charming experience of significant Catalonian cultural sites. The perfect autumn beach spot, the Mediterranean isle of Cyprus presents an ornate history and diverse culture lionized by its blissful climate and wild coastlines. A group visit to this beautiful island is ideal as members can visit the less travelled interior regions of Cyprus, areas that are as entrenched in culture as the island’s beaches are with natural beauty. These places are perfect for a quick yet extremely memorable getaway. So, it’s time to get going with your friends and family! The post 5 Great Destinations for a Group Getaway appeared first on Geeky Traveller. Located on the West Coast of the USA, Los Angeles is the dream city for anyone trying to make a name for themselves in any sector – be it entertainment, sports or business. However, all this hard work can put a toll on the person’s mental and emotional balance. And so, it often becomes important to spend one or two days every month relaxing and pampering yourself with your friends. And if you are looking to plan one such relaxing weekend, here is a list of some of the best retreats around Los Angeles to go and spend a relaxing day to recharge for the hectic week ahead. And since it’s always a challenge to organize group transportation, especially when LA traffic is involved, your group might also want to consider a private Los Angeles bus rental so that everyone can arrive safely, on time, and stress free. In the midst of the Santa Monica Boulevard this meditation centre is open from sunrise to sunset, thereby ensuring that the group can spend all day indulging in relaxation. Being one of the off the beaten path destinations of the otherwise glamorous Beverly Hills, the centre hosts regular meditation sessions centred around various themes to relax and rejuvenate the spirits of the attendees. As a bonus, it also hosts several community-bonding activities to encourage intermingling between the members of the community. This vacation retreat, in the suburb of Topanga, promises to provide a relaxing environment for all persons coming up. Its location on the Greenleaf Canyon road gives it ample natural surrounding for a sudden natural retreat. Adding to that, the vacation rental service also provides sessions in alternative medicine for the patrons to rejuvenate themselves. Nestled in the Palm Springs, this retreat is especially good if a vacationing group wants to get off from the habit heavy drinking, smoking and other indulgences. The regular sessions conducted here help to detoxify the body against various intoxicants consumed, thereby making the people healthy from the outside as well as the inside. This therapy is a complete box package since it also includes dinners set from a therapeutic view, apart from regular interactions with the founders of the facility. The name sounds Indian, very much like its vision and the rapeutical approach to things. This wonderful retreat named The Asharm hosts its guests for a week-long sojourn full of various rejuvenating exercises to bring a whole group back to their mental sanity. Nestled in the foothills of Santa Monica mountains, its secluded location also gives it the peace and tranquillity that the people on a retreat desire so much. Its USP is its approach to the healthy eating habits that balance the overall metabolic activities as well as the mind-body conundrum. This site is set on the grounds belonging previously to a children’s camp in the hills above Malibu. It has been long famous for its award-winning wellness retreat facility and services, which are centred around weight loss, fitness and restorative health. The tour given to the patrons includes daily hikes, guided exercise and locally sourced plant meals, which makes it even more exciting for people who are willing to go on a spree of adventures to sooth their moods and state their thirst for the thrill. Patrons here can choose wellness programs based on the duration of their retreat – the programmes run from a minimum of 1 day to a maximum of 7 days custom-designed tour. All of these places offer you and your group a beautiful weekend of relaxation and healing. And you can do all of that without having to travel for more than thirty minutes from the city so you can be back in time for office at the beginning of the week, fully rejuvenated and ready to take on the world again. The post Group Retreat Ideas in the Los Angeles Area appeared first on Geeky Traveller. One of the hardest, most frustrating, seemingly impossible tasks in this world is to find the perfect swimsuit. It seems like you either have to choose between comfort or style; either you’ve find the most comfortable suit of your life but it isn’t flattering at all or there’s an amazing looking swimsuit that’s anything but comfortable. Not to mention I want something that will be travel-friendly and won’t fall apart on me when I’m traveling. That’s why I was excited when I found the company CoolTanⓇ and their line of TanThrough swimwear that are the perfect travel-proof option that is both comfortable and good looking at the same time. CoolTan’s swimsuits are super comfortable thanks to their specially formulated, lightweight fabric that can be worn all day without feeling too tight or uncomfortable. The secret to their uniquely formulated fabric is their use of Microsol V fabric, which is knitted to create millions of tiny pores to let in half the sun’s rays, wick moisture, and let air pass right through the suit. This is a great option if you’re into tanning (not my personal thing but I know it is for a lot of folks!) because you can tan right through the fabric, without getting awkward tan lines or needing to apply and reapply tanning lotions. What I love is that the suit’s fabric wicks moisture so that I can stay cool and dry even on the hottest of days. The best part of CoolTan’s swimsuits is that they’re super fast-drying and will dry up to 3x faster than normal fabric. This is a major benefit because you won’t have to wait hours and hours for your swimsuit to dry in the hotel bathroom before throwing it back in your bag. No more soggy swimsuits stinking up your bag. I was also really impressed at how well made these suits were. They’re durably stitched to ensure they won’t fall apart on you when out on your travels which also means they’ll last longer than a season or two. Plus all their suits are machine washable, so you can keep the suit nice and clean and get out all the salt and sand you’ll collect when going to the beach. CoolTan has a variety of styles for both men and women for all comfort levels. I liked how they had a wide range of suit styles for men, so whether you’re into more revealing briefs or like to lounge around in board shorts or trunks (raises hand). They have a variety of sizes and styles to choose from, all with a Customer Satisfaction Guarantee to make sure you find your absolute perfect fit and new favorite suit. I would definitely recommend CoolTan, especially if you’re into tanning because it makes it easier than ever to get a great tan even while just walking down the beach. My favorite features of CoolTan’s TanThrough suits is the comfortability factor along with how travel-friendly it is and I will definitely be bringing it along on my next trip! The post My New Favorite Travel-Friendly Swimwear appeared first on Geeky Traveller. Pennsylvania is quite famous for some sort of its history. Even though some people think that this state is not that attractive compared with some other states in US that offer you all of those glamorous things, Pennsylvania turns out to be one of those states that has its own attractions. If you are interested, there are some nice attractions that you can find in Pennsylvania. If you Here are some of those best attractions that you can find in Pennsylvania. The first one is Independence National Park and the Liberty Bell. This place is considered as the number one most historical sites in United States. That is because this is the place where the American Independence was signed. As an addition to that, there are also some spots where you can find some exhibits related with the history of United States. The second one is Lancaster, PA theatre. If you think this is only a simple theatre, you are wrong. Theatre can be considered as something quite famous there so that it is just something common that you will be able to find some theatres building around the area. For your information, in the old times, the theaters in Pennsylvania were focused around this part so that you can find more than one theatre here. The next one is Hershey Park. Almost all of the people in this town know this amusement park because this amusement park can be simply considered as the main attraction in Hershey. For your information, this amusement park was built for the recreational park of the workers here. However, as the time goes, this amusement park was built bigger and more and more people came to this amusement park. Chocolate is the main reason why this place is becoming one of the best attractions that you need to visit in Pennsylvania. The next one is Philadelphia Museum of Art. This is something grand that you need to visit if you love art. That is because this museum is considered as the biggest museum with the most artistic collections compared with many other museums in America. That is why a lot of people who love art visited this museum of art every single day. For your information, usually people will spend at least four hours to see everything inside this museum. Therefore, if you are thinking about going to this Philadelphia Museum of Art too, you need to prepare yourself or you will not be able to see everything inside. Those are some of the best attractions that you can find in Pennsylvania. For your final consideration, it is true that you might not be able to find a lot of modern spots and buildings in Pennsylvania, but that does not mean this state is not worth to visit. That is because there are still a lot of nice spots and attractions that will surely attract your attention, especially if you love history and nature. There are more than those you can find on the list. The post Some of the Best Attractions to Visit in Pennsylvania appeared first on Geeky Traveller. Travellers to Northern Territory, Australia who love nothing more than experiencing some of the wonders of the world will be forgiven for thinking they have landed in heaven once they embark on an adventure in Kakadu National Park. Apart from its vast area covering around 20,000 square kilometres being abundant in a large variety of flora and fauna, Kakadu is home to some really unique holiday accommodation. Moreover, visitors to the largest national park in Australia will be blown away by its sheer natural beauty with opportunities to get close to the natural habitat of a wide range of wildlife. Indeed, animal lovers keen to see some of the incomprehensible variety of species in mammals, reptiles, birds and insects in Kakadu will not be left feeling disappointed. Of course, bird watchers that come prepared with their best pair of binoculars and other monitoring equipment will be in their element as they navigate through lush terrain teeming in all kinds of bird species. For people planning to go on long treks through Kakadu National Park in a quest to capture images of wildlife commonly found in this region of NT, staying in national park accommodation would probably be the best thing to do. The good news for holidaymakers hoping to stay in a luxury hotel in Kakadu is it will not be difficult to achieve this common goal of the more ambitious traveller in this part of the Territory. Kakadu luxury accommodation such as Kakadu Aurora will not fail guests with its range of accommodation options including hotel rooms with the finest of features, traditional cabins and camping sites. Visitors to Kakadu National Park that are yet to make up their mind on the type of accommodation to stay in during their holiday can treat themselves to a stay in Kakadu Aurora. Notwithstanding the superb service and luxurious provisions offered in Aurora Kakadu, some of the tours that can be arranged for Kakadu are quite simply out of this world. To learn more about the many different tours that can be booked for Kakadu National Park, a quick search online will lead you to a number of websites presenting you tour options for you to choose from. Intrepid explorers planning to spend some time in Kakadu National Park will be over the moon with the huge range of activities to get up to in this awe-inspiring region of the Northern Territory. It goes without saying that if we have made the effort to reach the amazing Kakadu National Park in NT, Australia, we will want to make sure our visit there goes according to plan. Of course, one way to achieve this goal would be to create a proper travel itinerary to commence on the first day we will be staying there. Fortunately for adventurous souls planning to experience as much as possible during their stay in the amazing Kakadu National Park, there are heaps of activities on offer in this Territory region. Of course, if we have only completed a fraction of all the things we wanted to do during our first visit to the incredible Kakadu National Park, we could book up another trip to this popular part of the Northern Territory. The post Living the Dream in Kakadu: Incredible Things to Do appeared first on Geeky Traveller.